Last year, the UK government embarked on a sizable project to promote financial technology (FinTech) innovation in asset management, trading and banking. The specialist financial services team at UK Trade & Investment was established to raise the profile of UK FinTech companies abroad and to attract overseas investment in UK FinTech companies. Leading the charge is Shaul David, a FinTech project manager with more than fifteen years’ experience, having worked with some of the biggest global businesses including JP Morgan and Barclays. UKTI’s Oxford-educated FinTech Lead says while the team is very young, it has already achieved some note-worthy successes in its first months. He says: “Investment banks and clearly the Goldman Sachs of this world do a lot of interesting things on technology, albeit usually in-house and the retail banks have really made a strategic change in the way that they interact with the market. A recent report on the global FinTech ecosystem by Accenture highlighted the extent to which banks are now involved in funding FinTech start-ups. American Express, BBVA, HSBC, Santander and Sberbank have all established corporate investment vehicles over the past four years for exactly this purpose, each with more than US $100 million to invest. David believes the asset management industry remains some way behind their colleagues in the banking community, however. 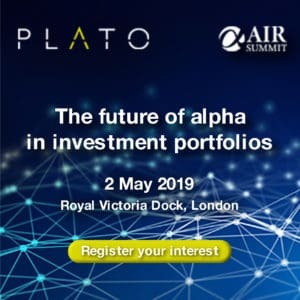 He recently returned from the Fund Forum International conference in Monaco, where he had hoped to see an upturn in demand for external FinTech players from investment management firms, but ultimately left disappointed. With the suspicion that exists within asset management, it is perhaps understandable that no one company is willing to move first to show their hand. However David believes that a lot can be taken from the banking community that have increasingly worked together to develop incubator initiatives and share ideas. Despite this, not all asset managers are passing up the opportunities. Axa – the insurance and investment management group – recently launched a $200 million fund to ‘accelerate’ development of FinTech projects. David says projects like will act as a catalyst for the rest of the asset management community and shows that some on the buy-side are willing to investigate what talent exists outside of their building. He says: “Within the buy-side there is a lot of technology emerging on compliance and data analysis…. In a 2014 report commissioned by UKTI, consultants at EY suggested that middle and back office software focussing on risk management, compliance, trade execution, reporting and settlement will be the hot key areas of development for the buy-side over the coming years. However, the report recognised that while the talent exists in the UK, the appetite from the industry to fund such developments is not as prevalent as it is outside of Europe, in Asia and the US, for example. As a result, the UKTI dedicated much of last year to promoting the British FinTech scene abroad, attending trade shows and sending delegations around the world. David explains: “We spent most of last year promoting to foreign investors that want to come to the UK. 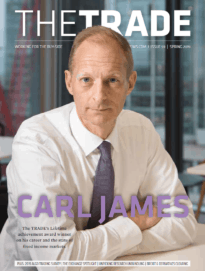 There is a bigger focus this year on the trade side – companies that want to go out of the UK”. Within the trading community, UKTI has worked closely with several emerging FinTech brands, including Algomi, Cybernetix, Essentia Analytics and InvestCloud. David says: “Algomi took part in the mission to New York back in February and also to Singapore. The way we work is we try to be a kind of matching service. We have teams all over the world whose job it is to better understand local markets and the opportunities there. Among the targets that have been set for UKTI by the government is to improve international relations and trade links with fast-growth economies such as China. Over the summer, UKTI hosted a delegation from the Asset Management Association of China to encourage bilateral trade and investment opportunities. For FinTech, David said there are plans afoot for UKTI to send six additional delegations abroad over the coming 12 months. While the destinations are yet to be confirmed, he said the organisation is considering the Nordics, Central Europe, the US, Japan and Vietnam. He says the work will focus on “bringing more capital liquidity into the market from an investment perspective”. He explains: “We need to think ‘how do we attract West Coast VCs into the market and Asian money into the UK.